For some reason after multiple successful fedex deliveries... my next order was shipped DHL? I did read they were going to try different delivery companies. I think FedEx is the best, but DHL works Saturdays, and maybe that's what their looking for. If you live in or around NJ and want a couple SP10's let me know. Dad and I are selling ours that we just received this week. Both work perfectly, are built like tanks but just a little too noisy for us in our homes. My girlfriend rules my world I guess. We just don't have the accommodations and setup like some of you have at home so that's why we are selling them. And it kills me as I write this because bitcoin is now over $600. We are selling both for $5200, which is $2600 for each one. Gives you almost $400 off each one. Please, the price is firm. If you are interested please message me here on the forums and I'll give you my contact information. I would need to drive my SP10 to my Dad's place, which is a couple hours away so if you are interested please contact me as soon as you can. I'll check the forums as much as I can today. Why not colocate them here? Just noticed that on the WebHostingTalk forum the price is only $50/month and here it is $150/month. I know I'm missing something. It's a matter of power usage and from the lack of info on the WebHostingTalk forum. There the power isn't mentioned and typical 1U servers need just around 300W-400W to run. Quotes from DataCenters include only a limited amount of power per U space. 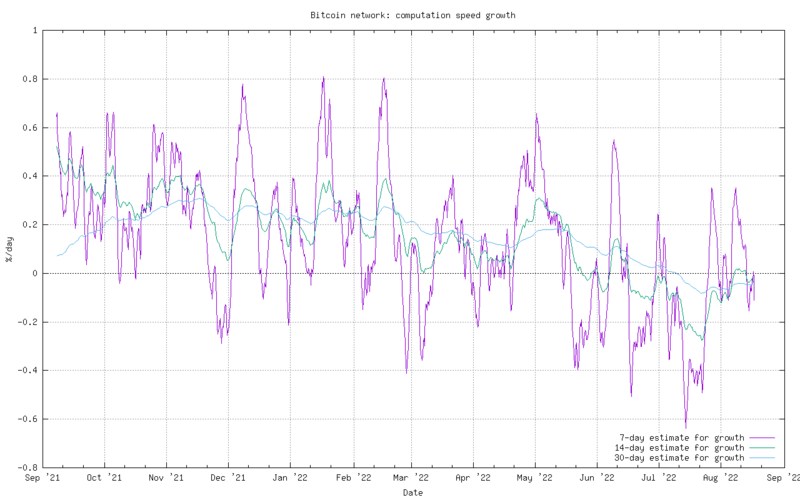 Bitcoin miners are unusual when it comes to this because they need A LOT of power compared to regular servers. So in short, it was just a mistake? Data center racks use outside air to keep the servers cool. It would be real cool to have a self cooling data rack with built in silence material to the point where you can't hear anything, even from standing right next to it. Unfortunately this rack could be built and made, but would cost a ton of money. I woke up at 2am one morning, walked into my office and just yanked the power cord to my SP10. Just not designed for home use. Those are high-end enterprise fans in those rigs and good quality power supplies too. No matter where you put one of those miners, you'll always hear that whining noise the fans make, and it will slowly make you go crazy. That's why I had to sell mine. I didn't want to believe a miner advertised for home (right off the home page) could be that loud. Hey, my mistake. Live and learn. It also reminded me one of those gas blower heaters you put in your garage in the winter. My room temperature went up to 107 degrees while it was 65 degrees outside. Once I saw that I knew I had to sell them because summer is coming and when it hits that 95 degrees everyday, there's no way to keep any of those miners cool in a home, unless you have commercial cooling products installed. Good luck, and lets see some pictures!!!!! No. Different offers. The 50$ one has included less power usage. It's not mentioned, but believe me(you are free to send them an inquiry). Found some stuff online, but as I do not have prior experience with soundproofing, would like some one to give me a hint, which way to look. Example 28.5dB(A) sound reduction and 7.2KW heat dissipation - $3657 for 12U space would it be enough to fit 4 SP10? Would it work as advertised? At this rate, we'll sell all the units we produced in May in the following week. We've temporarily stopped accepting new hosting requests, until we'll finish out data center enhancements and expanding work. Congratz! That is great news! 1% growth is still growth... but it can't go on forever. Does firmware update not update image? How do you check your version? You just need to login to UI, and go to "Firmware Upgrade" page. It will both show the currently installed version, and the latest available one. From there, just a single click needed to upgrade to the latest firmware version. The UCoustic™ 9210 rack cabinets are amazing. I have two of the 24U active model. I can't hear my SP10. Anyone found a good set of Rack Ears in the USA for these? Spondoolies wants $25 per set, and that just seems a tad high. Standard rack ears on eBay are less than $10 shipped. Are you able to completely do a power restart on the SP10 with the web gui? Are you able to do a power restart using the command line interface, if there even is one? Person who bought mine isn't near the hardware and was asking me if I knew there was a way. Can you even SSH into these? Also, Spondoolie, congratulations on a great sale with your SP10's.